It’s getting time for the birds to think about heading north and start their nests. I couldn’t help but chuckle over Snoopy helping out. 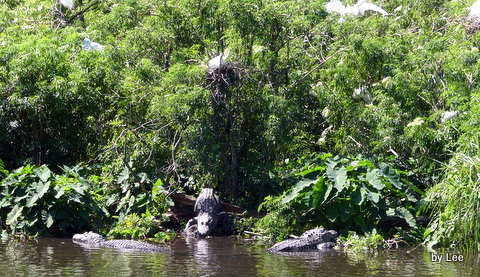 We were at Gatorland recently, in central Florida, and the nests were everywhere. 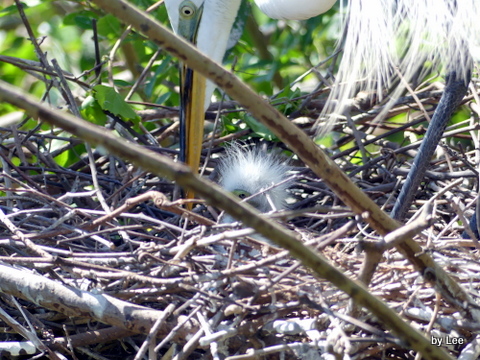 One even had a one-day old Great Egret in it. It really wasn’t so “Great” at this stage of its life. 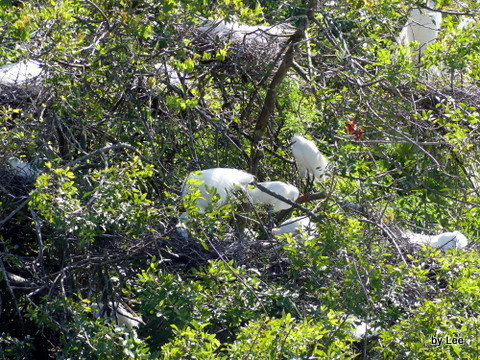 I doubt Snoopy helped supply the twigs for these nest, especially with all the Alligators laying around underneath them. This entry was posted in Birds, Birdwatching, Christian and tagged Creation, Gatorland, Home School, Kids, Nature, Nests, Photography, Snoopy, Youth. Bookmark the permalink. ← Anwers Book Chapter 1 – Did Dinosaurs Turn into Birds? I missed this one somehow, but I ran across it today. I was just thinking how these egrets building right over the alligator’s home shows amazing faith in God’s plan for our lives, doesn’t it. We need to take a lesson for sure. We don’t have to wait until everything gets fixed or the enemy stops trying to get at us before we do what God has called us to do. We need to just believe His Word that He will protect us and provide for us right in the face of the enemy. “He prepares a table before me in the presence of my enemies.” So true, but we seldom live as if we believed it. What a great application. Thanks for sharing those thoughts for all of us to ponder and praise the Lord for His provisions. Lee, I’m actually writing up a lesson based on Isaiah 54, where the Lord talks about His covenant of peace not departing from us and how great shall be the peace and undisturbed composure of His people. In the lesson, I’d like to use that analogy of the birds building nests right over the alligators, but I don’t have a good picture for it. Could I get permission to use the picture you have with this post? And if so, do you have one that is a higher resolution that you could attach to an e-mail and send to me? I clicked on this one from your post to see how big it is, but it’s so small that if I enlarge it very much, it will look fuzzy. 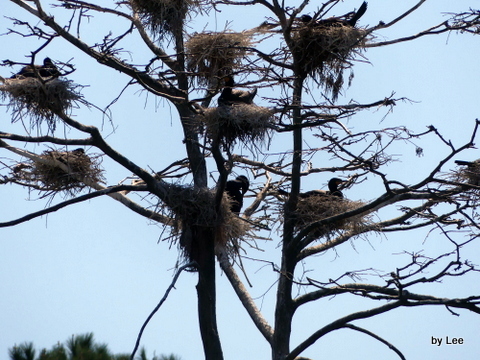 I need it larger so readers can see the nests clearly. I’d also be glad to pay for the use of the photo. Just let me know. Thanks a lot. Most assuredly you may use it. I will see what I can get for you. I have several that you could use. Check your email soon.